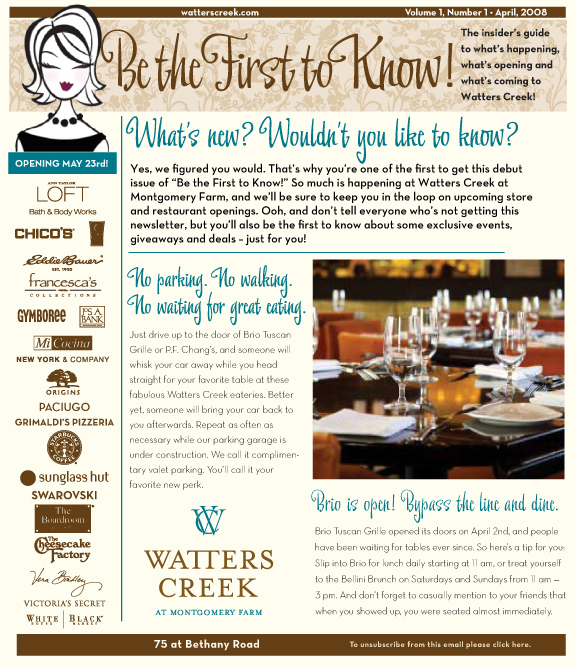 This an email newsletter blast created for Watters Creek at Montgomery Farm. A shopping, dining and residential center in Allen, Texas. It is similar to Southlake Town Center and Frisco Square. The email blast is designed as a template that is easily customizable for placement of new articles, announcements and photos each month. Each article is clickable and links back to the website to provide the customer with more information.